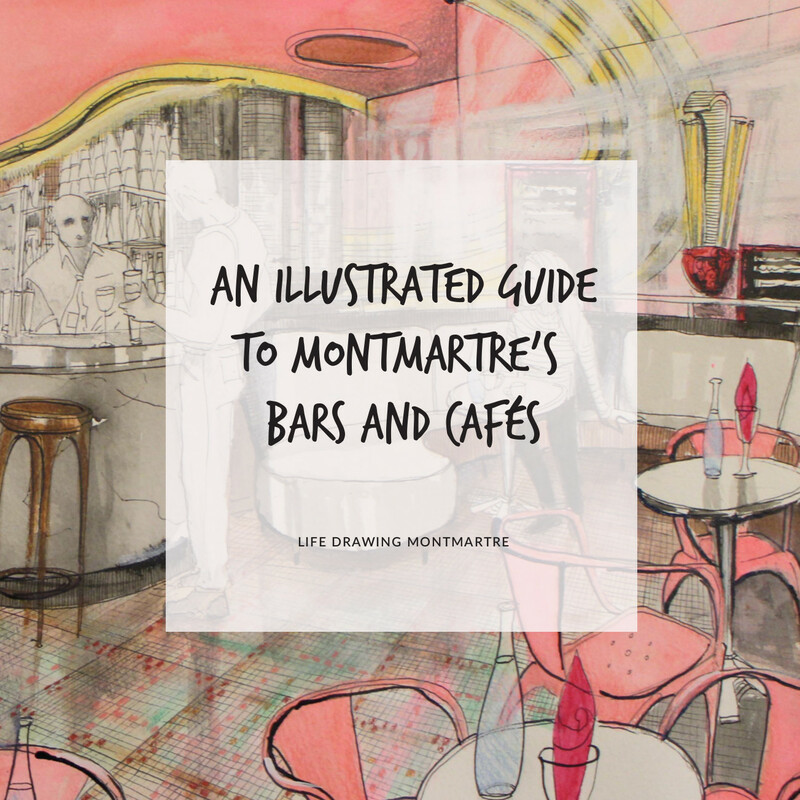 Our guide to Montmartre’s bars and cafes is coming out on March 11! You are warmly invited to attend our official book launch party celebrating the publication of “An illustrated guide to Montmartre’s bars and cafes”. The guide is a collection of cafes, recommended by both local and visiting artists, including many Life Drawing Montmartre members. It features characterful illustrations along with very personal reviews of each location. The book party will be held on Saturday 11th March 2017 between 6.00-9.00pm at Untitled Factory and will be connected with the exhibit “The Café Art: Celebrating Montmartre’s cafes”, featuring original works from the guide. If you are interested in buying the guide, you will have the opportunity to purchase a copy of the book during the event. However, you can also pre-order it right now, with a special 10% discount available until Sunday 26th February, and collect it at the party. To pre-order your copy, please follow the link.